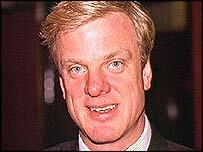 Conservative MP Edward Leigh has said he is considering standing for the leadership of the party. Mr Leigh said none of the current front runners offered the radical approach of his Cornerstone Group of Tory MPs. They back a "radical tax cutting agenda", including flat taxes and tax relief for private health insurance, as well as traditional moral values. The official contest to replace Michael Howard as Conservative leader is expected to begin early next month. Mr Leigh, who chairs the House of Commons Public Accounts Committee, was asked if he would enter the contest during an interview on the ITN News Channel. He replied: "I'm considering it. I'm not saying I'm going to, but what I am saying is that there is a substantial group of Tory MPs who want this to be an exciting election ... They want a radical social agenda." He said: "When we used to win elections under Margaret Thatcher, we used to convince people that they would end up paying less taxes. "If we the Conservative Party said 'We will deliver to you, the average family in this country, at least £1,000 a year back, in your pocket,' now you might call that a tax cut, I would call it exciting politics. "If you have a completely wishy-washy agenda, if you try to reach out to the so-called centre ground and then you shift back to the right in the last few weeks [before an election], as has happened in recent years, you are going to get nowhere. "If from day one... you start to articulate the case for small government, for empowering people, for giving people control over their own lives and health and education, then you might start shifting the policy agenda." He added: "Unless David Davis and Ken Clarke over the next few weeks actually convince people like me that they are coming forward now, not just with words but with a radical agenda.... then people like me will not vote for them, and we will look for another candidate." 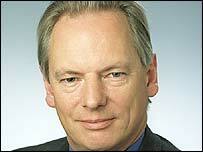 Meanwhile Conservative Party chairman Francis Maude has warned that Tory MPs will look "pretty damn silly" if they do not support plans to change the rules for choosing their next leader. Earlier this summer, MPs backed plans to give themselves, not party members, the final say on a new leader. Leadership contender David Davis is among those predicting the rule change will not get the necessary two-thirds support from both senior Tory activists and MPs. The results of the postal ballot will be unveiled on 27 September. Several of the leadership contenders will continue to make their pitch for the job on Thursday. Former Chancellor Ken Clarke will use a speech in London to accuse Tony Blair of lowering the standing of politics by being obsessed with style over substance and of scorn for parliamentary government. "We have a prime minister who is more George III than Clement Attlee," he said. Mr Clarke claims the situation is likely to get worse if Gordon Brown becomes prime minister as "there is no more obsessive control freak in this government than the chancellor". Mr Clarke's former Cabinet colleague Sir Malcolm Rifkind is setting out his vision for the Tories in a speech entitled "Building One Nation".